We are still on break from school and still in crafting mode. 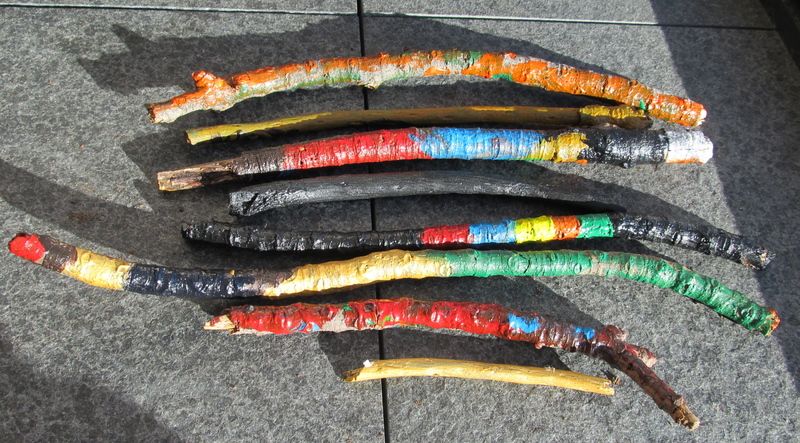 I read about painting sticks on a blog and thought, hey my kids love sticks and they like painting. Maybe we should give it a try! 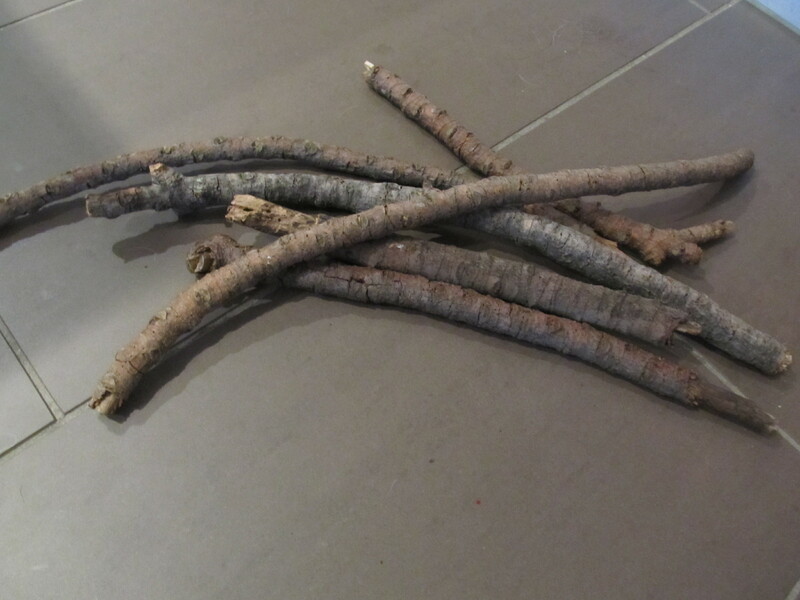 On our last trip over to the park I had the boys gather a few good sticks for our project. We had to set them in the sun for a day or so because they were so wet from a recent rain. When they were dry enough to work with we set to painting. 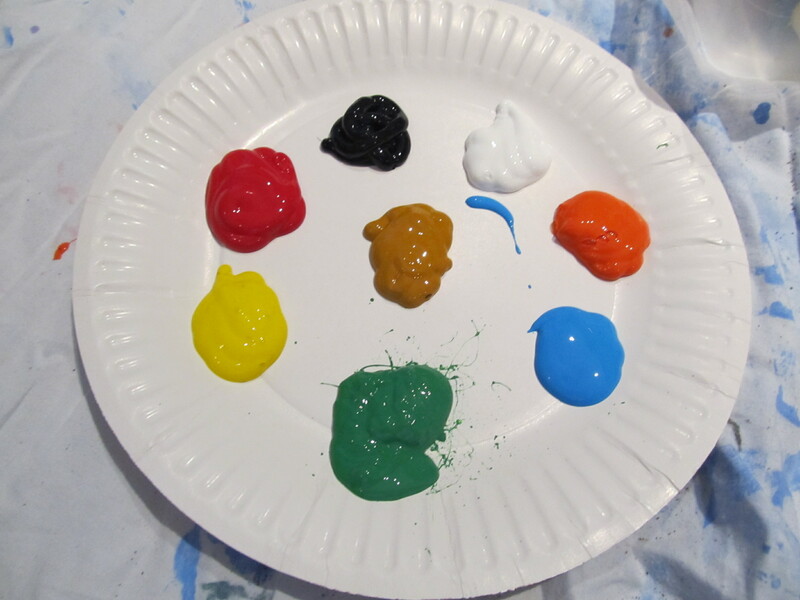 I put out a bunch of paint colors on our palate (also known as a paper plate). We each chose a stick and began painting. 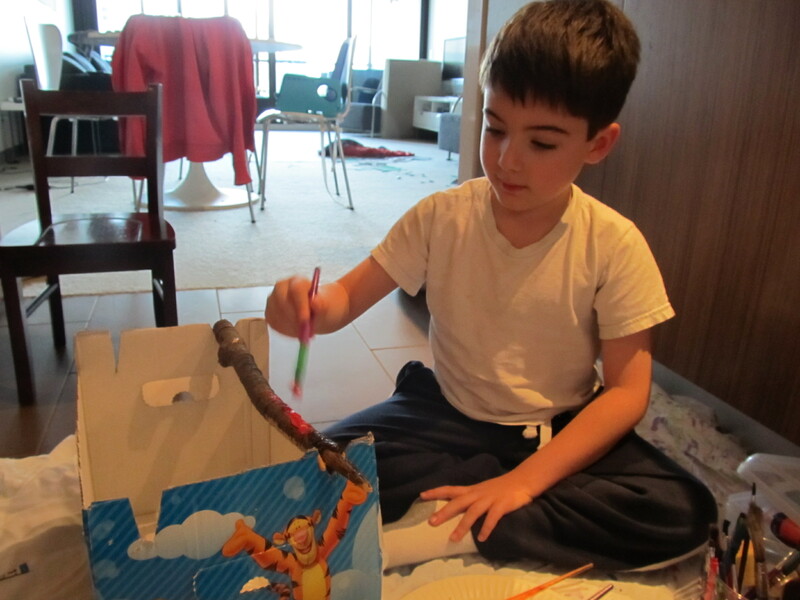 At one point my eldest said to me, “Why are we painting sticks?” It was the sort of comment that has a bit of an underlying has-my-mom-gone-nuts-tone to it, but I simply replied, “Because it is fun and it is different.” And it is different! It is a completely different experience from painting a flat piece of paper- the texture is different, the shape is different and the results are definitely different. I loved painting my sticks and could have done it for hours. My son painted for about an 20 minutes and then was done. I was looking around on the web today and saw that painted sticks seem to be an “in” thing right now. I had no idea. I thought someone just had a really cool and quirky idea that spread. Guess I was wrong. 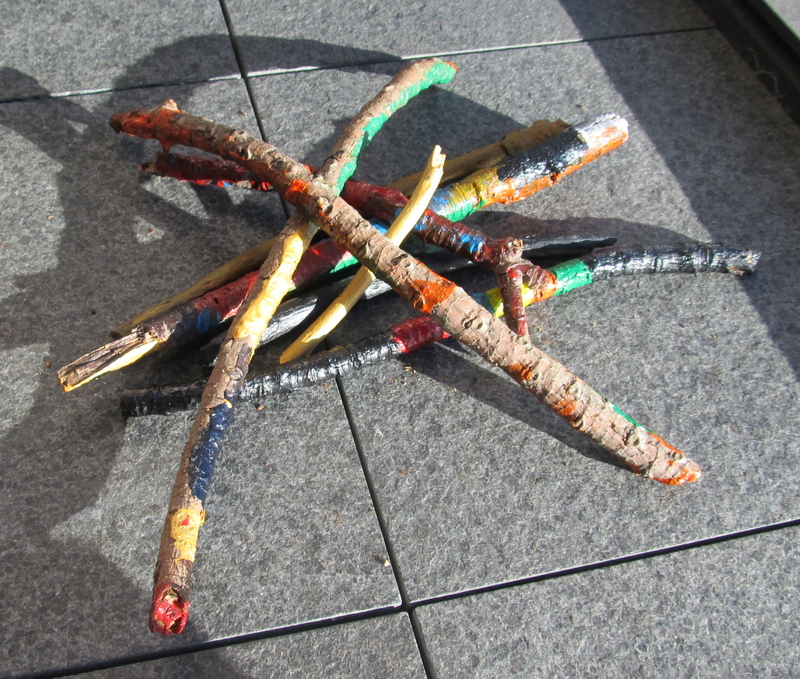 Here are some of the ones I found- both “professionally” done sticks and kid created. They are all gorgeous! lots of wipes/towels- this is a messy one! 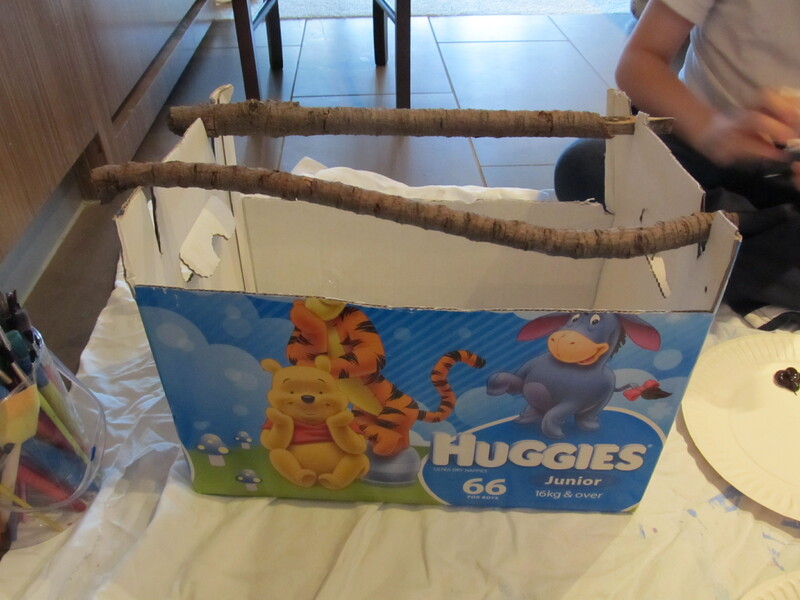 Grab a stick and paint it! 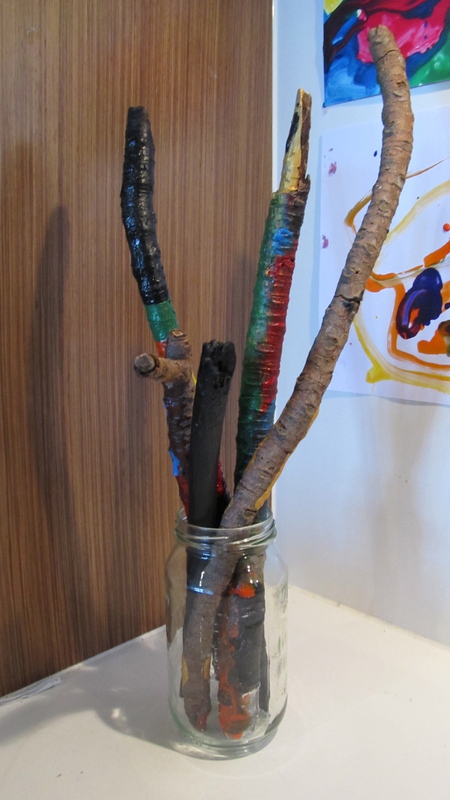 one of the blogs showed the sticks displayed this way. love it! So much fun! We do this with rock we find on our walks. Thanks for sharing! Hope you will join me at Mom’s Library http://www.trueaimeducation.com.